Architectural details of the mega-resort Monte Carlo Hotel and Casino facade, located along the famous "Las Vegas Strip", Nevada, USA. Opened already in 1996 the Monte Carlo Hotel and Casino is one of the so-called mega-resort hotel and casino and is operated by the MGM Group. The architectural theme is a replica of the "Place du Casino" in Monte Carlo, Europe. The resort includes all the popular features which are "standard" today in Las Vegas hotels, including retail stores, business facilities, meeting rooms, spa, fitness center as well as a wedding chapel, just to mention a few. 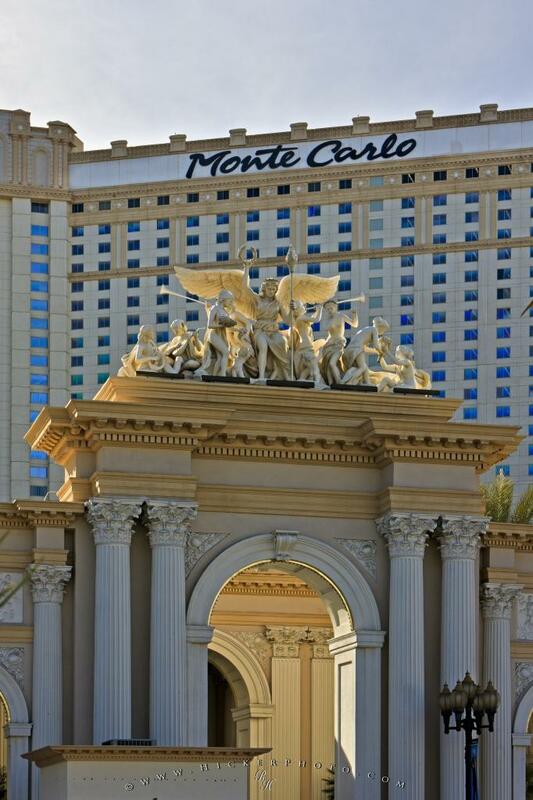 Photo of architectural features of the Monte Carlo Hotel and Casino facade in Las Vegas, Nevada.